Почечно-клеточный рак представляет собой гетерогенную группу опухолей, его выявляемость в последние десятилетия значительно увеличилась. В настоящее время единственным эффективным подходом в лечении является хирургическое удаление опухоли, которое включает в себя радикальную нефрэктомию и органосохраняющие операции. Несмотря на то, что радикальная нефрэктомия является в настоящее время стандартом лечения почечно-клеточного рака, органосохраняющие операции имеют большое количество преимуществ (сохранение паренхимы, высокий уровень абластики, низкая частота ишемических повреждений и послеоперационных осложнений), благодаря которым данный тип вмешательства широко применяется у данной категории больных. 1. Москвина Л.В., Андреева Ю.Ю., Мальков П.Г., Франк Г.А. Новые подходы к классификации, градации и прогноз у почечно-клеточного рака. Архив патологии. 2014; 76(2): 60-70. 2. Ridge C.A., Pua B.B., Madoff D.C. Epidemiology and staging of renal cell carcinoma. Semin Intervent Radiol. 2014; 31: 3–8. 3. Каприн А.Д., Старинский В.В., Петрова Г.В. Злокачественные новообразования в России в 2015 году (заболеваемость и смертность). Московский научно- исследовательский онкологический институт им. П.А. Герцена. М., 2017. 250 с. 4. Pascual D., Borque A. Epidemiology of kidney cancer. Adv Urol. 2008: 782381. 5. Зуков Р.А., Козлов В.В., Шульмин А.В. Анализ факторов риска развития почечно-клеточного рака. Сибирское медицинское обозрение. 2014; 4: 65-68. 6. Hara T., Fujimoto H., Kondo T. et al. Active heavy cigarette smoking is associated with poor survival in Japanese patients with advanced renal cell carcinoma: sub-analysis of the multi-institutional national datab ase of the Japanese Urological Association. Jpn. J. Clin. Oncol. 2017; 47(12): 1162-1169. 7. Macleod L.C., Hotaling J.M., Wright J.L. et al. Risk factors for renal cell carcinoma in the vitamin and lifestyle (VITAL) study. J. Urol. 2013; 190: 1657–1661. 8. Shen T., Shu X.O., Xiang Y.B. et al. Association of hypertension and obesity with renal cell carcinoma risk: a report from the Shanghai Men's and Women's Health Studies. Cancer Causes Control. 2015; 26(8): 1173-1180. 9. Lane B.R., Canter D.J., Rini B.I., Uzzo RG. Cancer of the Kidney. In: Devita Jr VT, Lawrence TS, Rosenberg SA, eds. DeVita, Hellman, and Rosenberg’s Principles and Practice of Oncology. 10th ed. Philadelphia, PA: Wolters Kluwer Health; 2015: 865–884. 10. Hu S., Chang A., Perazella M.A. et al. The nephrologist’s tumor: basic biology and management of renal cell carcinoma. J. Am. Soc. Nephrol. 2016; 27: 2227–2237. 11. Kay F.U., Pedrosa I. Imaging of solid renal mass es. Radiol. Clin. North. Am. 2017; 55: 243–258. 12. Krishna S., Murray C.A., McInnes M.D. et al. CT imaging of solid renal masses: pitfalls and solutions. Clin. Radiol. 2017; 72: 708–721. 13. Sankineni S., Brown A., Cieciera M. et al. Imaging of renal cell carcinoma. Urol. Oncol. 2016; 34: 147–155. 14. Bagheri M.H., Ahlman M.A., Lindenberg L. et al. Advances in medical imaging for the diagnosis and management of common genitourinary cancers. Urol. Oncol. 2017; 35: 473–491. 15. Shinohara N., Abe T. Prognostic factors and risk classifications for patients with metastatic renal cell carcinoma. Int. J. Urol. 2015; 22(10): 888-897. 16. Волкова М.И., Скворцов И.Я., Климов А.В. и др. Сравнительный анализ результатов радикальной нефрэктомии и резекции почки при клинически локализованном почечно-клеточном раке у больных с нормально функционирующей контралатеральной почкой. Урология. 2014; 4: 47-54. 17. Van Poppel H., Sylvester R. Is overall survival not influenced by partial vs radical nephrectomy? BJU Int. 2018; 121(3): 319. 18. Zhang M., Zhao Z., Duan X. et al. Partial versus radical nephrectomy for T1b-2N0M0 renal tumors: A propensity score matching study based on the SEER database. PLoS One. 2018; 13(2): 193530. 19. Scosyrev E., Messing E.M., Sylvester R. et al. Renal function after nephron-sparing surgery versus radical nephrectomy: results from EORTC randomized trial 30904. Eur. Urol. 2014; 65: 372-377. 20. Czerny H.E. Cited by Herczele: Ueber Nierenexstirpatio n. Beitr Z Klin. 1890;6:484-486. 21. Vermooten V. Indications for conservative surgery in certain renal tumors: a study based on the growth pattern of the cell carcinoma. J. Urol. 1950; 64: 200-208. 22. Ljungberg B., Bensalah K., Canfield S. et al. EAU guidelines on renal cell carcinoma: 2014 update. Eur. Urol. 2015; 67(5): 913-924. 23. Miyamoto K., Inoue S., Kajiwara M. et al. Comparison of renal function after partial nephrectomy and radical nephrectomy for renal cell carcinoma. Urol. Int. 2012; 89: 227-232. 24. Саяпина М.С., Носов Д.А. 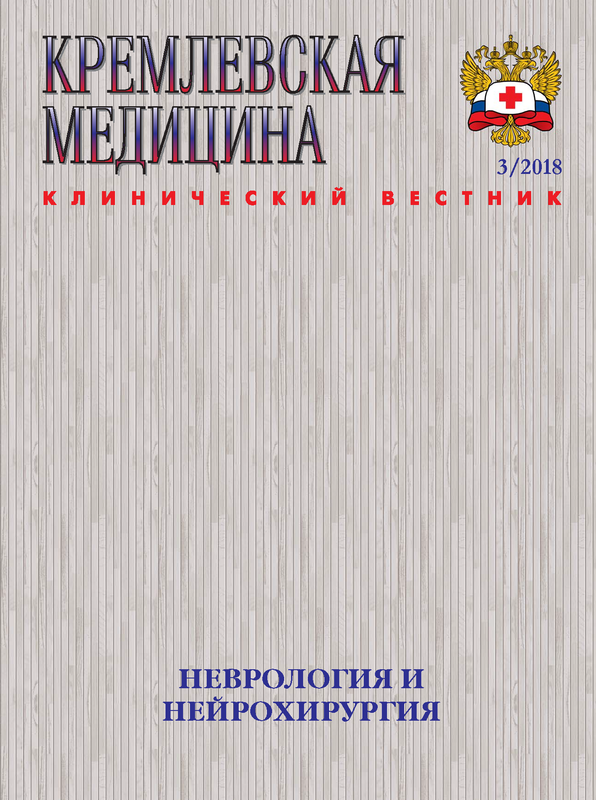 Современные подходы к лечению почечно-клеточного рака по материалам VII международной конференции экспертов в области почечно-клеточного рака (CORE, 2016). Фарма- тека. 2 016; 8: 10-13. 25. Krebs R.K., Andreoni C., Ortiz V. Impact of radical and partial nephrectomy on renal function in patients with renal cancer. Urol. Int. 2014; 92: 449-454. 26. Li Q., Guan H., Qin J., Jiang T. Mini-Margin nephron sparing surgery for renal cell carcinoma 4 cm or less. Adv. Urol. 2010; 2010: 145942. 27. Kang H.W., Lee S.K., Kim W.T. et al. Surgical margin does not influence recurrence rate in pT1 clear cell renal cell carcinoma after partial nephrectomy: A multicenter study. J. Surg. Oncol. 2016; 114(1): 70-74. 28. Shuch B., Singer E.A., Bratslavsky G. The surgical approach to multif ocal renal cancers: hereditary syndromes, ipsilateral multifocality, and bilateral tumors. Urol. Clin. North. Am. 2012; 39(2): 133-148. 30. Charytan D.M., Li S., Liu J., Herzog C.A. Risks of death and end-stage renal disease aft er surgical compared with percutaneous coronary revascularization in elderly patients with chronic kidney disease. Circulation. 2012; 126(11 Suppl 1): 164- 169. 31. Bouliere F., Crepel M., Bigot P. et al. Nephron-sparing surgery is superior to radical nephrectom y in preserving renal function outcome in tumors larger than 4 cm. Prog. Urol. 2011, 21: 842–850. 32. Комяков Б.К., Замятнин С.А., Попов С.В. и др. Экстракорпорально е хирургическое лечение больных с почечно-клеточным раком. Вестник хирургии им. И.И. Грекова . 2014; 4: 53-56. 33. Алексеев Б.Я., Калпинский А.С., Воробьев Н.В. и др. Клиническое наблюдение лапароскопической резекции единственной почки по поводу почечно-клеточного рака. Онко- логия. 2014; 3: 70-72. 34. Kalogirou C., Fender H., Muck P. et al. Long-Term Outcome of Nephron-Sparing Surgery Compared to Radical Nephrectomy for Renal Cell Carcinoma 4 cm - A Matched- Pair Single Institution Analysis. Urol. Int. 2017; 98(2): 138- 147. 35. Sumiyoshi T., Kohno J., Maeno A. et al. Clinical outcomes after non-ischemic partial nephrectomy for clinical T1 renal tumors using soft coagulation versus microwave tissue coagulation. Nihon Hinyokika Gakkai Zasshi. 2014; 105(3): 85-90. 36. Bayrak O., Seckiner I., Erturhan S. et al. Comparison of the complications and the cost of open and laparoscopic radical nephrectomy in renal tumors larger than 7 centimeters. Urol. J. 2014; 11: 1222-1227. 37. Kumar R., Kapoor A. Current management of metastatic renal cell carcinoma: evolving new therapies. Curr Opin Support Palliat Care. 2017; 11(3): 231-237. 38. Venkatramani V ., Swain S., Satyanarayana R., Parekh D.J. Current Status of Nephron-Sparing Surgery (NSS) in the Management of Renal Tumours. Indian J. Surg. Oncol. 2017 Jun; 8(2): 150-155. 39. Lapini L., Serni S., Minervini A. et al. Progression and long-term survival after simple enucleation for the elective treatment of renal cell carcinoma: experience in 107 patients. J. Urol. 2005; 174: 57-60. 40. Dong W., Gupta G.N., Blackwell R.H. et al. Functional Comparison of Renal Tumor Enucleation Versus Standard Partial Nephrectomy. Eur. Urol. Focus. 2017; 3(4-5): 437-443. 41. Minervini A., Serni S., Tuccio A. et al. Local recurrence after tumor enucleation for renal cell carcinoma with no ablation of the tumor bed: results of a prospective single-centre study. BJU Int. 2011; 107: 1394- 1399. 42. Balasar M., Durmus E., Piskin M.M. et al. Comparison of Non-Hilar Clamping Simple Enucleation and Enucleo-Resection of Exophytic Renal Tumors. Urol J. 2015; 12(6): 2410-2416. 43. Li W., Cheng Y., Cheng N. et al. Clinical efficacy of radical nephrectomy versus nephron-sparing surgery on localized renal cell carcinoma. Eur. J. Med. Res. 2014; 19: 58. 44. Canter D., Kutikov A., Manley B. et al. Utility of the R.E.N.A.L. nephrometry scoring system in objectifying treatment decision-making of the enhancing renal mass. Urology. 2011; 78: 1089-1094. 45. Chen S.H., Wu Y.P., Li X.D. et al. R.E.N.A.L. Nephrometry Score: A Preoperative Risk Factor Predicting the Fuhrman Grade of Clear-Cell Renal Carcinoma. J. Cancer. 2017; 8(18): 3725-3732. 46. Draeger D.L., Sievert K.D., Hakenberg O.W. Critical evaluation of the PADUA score in a retrospective analysis of open partial nephrectomy. Turk. J. Urol. 2018; 44(3): 208-212. 47. Hayn M.H., Schwaab T., Underwood W. et al. RENAL nephrometry score predicts surgical outcomes of laparoscopic partial nephrectomy. BJU Int 2011; 108: 876-881. 48. Lavalle L.T., Desantis D., Kamal F. et al. The association between renal tumor scoring systems and ischemia time during open partial nephrectomy. Can. Urol. Assoc. J. 2012; 6: 1-8. 49. Satasivam P., Sengupta S., Rajarubendra N. et al. Renal lesions with low R.E.N.A.L nephrometry score are associated with more indolent renal cell carcinomas (RCCs) or benign histology: Findings in an Australian cohort. BJU Int 2012; 109(Suppl): 44- 47. 50. Sharma A.P., Mavud uru R.S., Bora G.0.S et al. Comparison of RENAL, PADUA, and C-index scoring systems in predicting perioperative outcomes after nephron-sparing surgery. Indi an J. Urol. 2018; 34(1): 51-55. 51. Stroup S.P., Palazzi K., Kopp R.P. et al. RENAL nephrometry score is associated with operative approach for partial nephrectomy and urine leak. Urology. 2012; 80: 151-156. 52. Yasuda Y., Yuasa T., Yamamoto S. et al. Evaluation of the RENAL nephrometry scoring system in adopting nephron-sparing surgery for cT1 renal cancer. Urol. Int. 2013; 90: 179- 183. 53. Zhou H.J., Yan Y., Zhang J.Z. et al. Role of R.E.N.A.L. Nephrometry Score in Laparoscopic Partial Nephrectomy. Chin Med. J. (Engl). 2017; 130(18): 2170-2175. 54. Thompson R.H., Lane B.R., Lohse C.M. et al. Comparison of warm ischemia versus no ischemia during partial nephrectomy on a solitary kidney. Eur. Urol. 2010; 58: 331-336. 55. Leslie S., Goh A.C., Gill I.S. Partial nephrectomycontemporary indications, techniques and outcomes. Nat. Rev. Urol. 2013; 10: 275-283. 56. Marszalek M., Carini M., Chlosta P. et al. Positive surgical margins after nephron-sparing surgery. Eur. Urol. 2012; 61(4): 757-763. 57. Lucas S.M., Mellon M.J., Erntsberger L., Sundaram C.P. A comparison of robotic, laparoscopic and open partial nephrectomy. JSLS. 2012; 16: 581-587. 58. Krane L.S., Peyton C.C., Olympio M.A., Hemal A.K. A randomized double-blinded placebo controlled trial of sildenafil for renoprotection prior to hilar clamping in patients undergoing robotic-assisted laparoscopic partial nephrectomy. J. Surg. Oncol. 2016; 114(7): 785-788. 59. Yang C., Wang Z., Huang S. et al. Retroperitoneal Laparoscopic Partial Nephrectomy Versus Radical Nephrectomy for Clinical T1 Renal Hilar Tumor: Comparison of Perioperative Characteristics and Short-Term Functional and Oncologic Outcomes. J. Laparoendosc. Adv. Surg. Tech. A. 2018 Apr 18. doi: 10.1089/lap.2018.0064. 60. Simmons M.N., Ching C. B., Samplaski M.K. et al. Kidney tumor location measurement using the C index method. J. Urol. 2010; 183: 1708–1713. 61. Samplaski M.K., Hernandez A., Gill IS., Simmons M.N. CIndex is associated with functional outcomes after laparoscopic partial nephrectomy. J. Urol. 2010; 184: 2259–2263. 62. Ficarra V., Novara G., Secco S. et al. Preoperative aspects and dimensions used for an anatomical (PADUA) classification of renal tumors in patients who are candidates for nephron-sparing surgery. Eur. Urol. 2009; 56: 786–793.